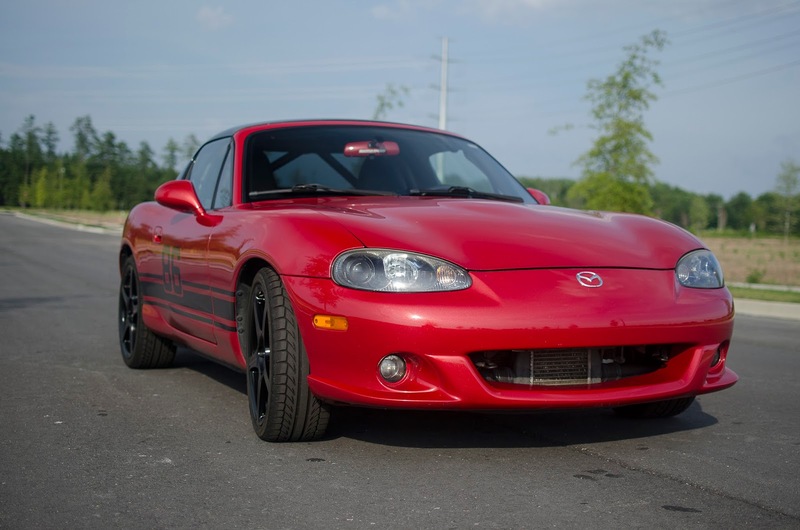 Nixon Motor Sports: The NMS #86 Mazdaspeed MX-5 Could Be Yours! After just over a full year of autocross, I've finally decided the Mazdaspeed Miata is not the right car for me if I want to continue to grow as a driver and be competitive. It's an excellent car and I have absolutely loved having it for almost 3 years now, but there are a few things holding it back with the specific classes in the SCCA for autocross. There are a number of classes I can compete in with various modifications, but at this time in my life I do not want to dedicate that amount of time and money. It has potential to be an absolute killer car between it's looks (I still believe this is THE BEST looking Miata ever made), and the power potential. I'm also very interested in getting out on a real track and trying out performance driving at a little higher speed, but I'm just not prepared to take the shiny red car out there where something might make it less shiny. Finding a cheaper, older Miata so I can afford to add the rollbar, harnesses and racing seats for all that added safety is looking like a good possibility. I'm looking into some other options for the 2015 season as well. I will be co-driving a friend's 2001 non-turbo Miata at the upcoming Darlington SCR autocross on the 30th and hopefully getting at least one fun run in with another friend's Scion FR-S. There's a lot of car options out there and I'm hoping to make the most of the remaining autocrosses this season to figure out which one will be best for me.